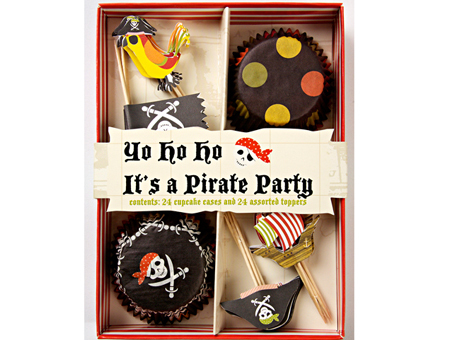 A cupcake kit for a pirate party featuring some favourite piratical props including the always essential parrot, a pirate ship, the jolly roger and a buccaneer hat. 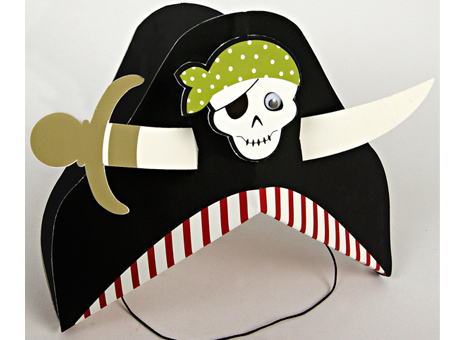 The cupcake cases are decorated with polkadot patterns and a skull and crossbones motif. Cupcake set contains 24 cupcake cases in 2 designs and 24 toppers in 4 designs.